Here we go, welcome to season 49. Oh wait, what’s this? 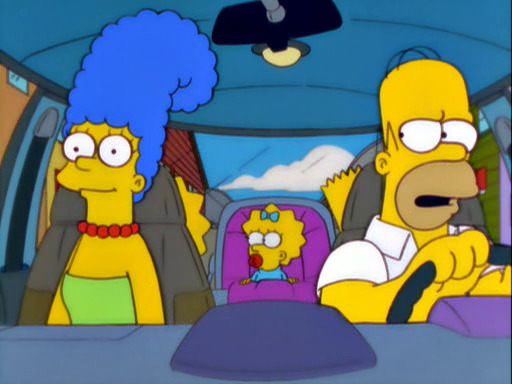 Homer has another love interest and his marriage to Marge is in jeopardy, AND they separate?? AAANNNDDD There is a trendy guest star?????? Writer 1: I have the perfect idea for the season opener. 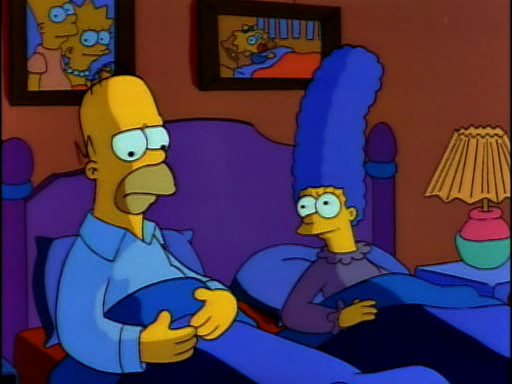 We have Homer and Marge break up again and Homer can meet another woman, and also move out I guess. Writer 2: I feel like we did this several times before…. Will there be a couple of gay guys or Weird Al again? Writer 1: Even better. We got Lena Dunham and her friends from that show we don’t watch. That’s kind of like a couple of gay guys and Weird Al, only, you know, gayer. Writer 2: Sure, whatever. Wait, what show are we writing for again? Head Writer: Hey, if you ladies are done clucking I need someone to help me finish this ‘autobiography’ of Rupert before he gets back from the puppy and kitten slaughterhouse tomorrow morning. … That’s probably close. Enjoy the show or don’t, I obviously won’t. NOTE: Sorry for no Reading Digest yesterday. I realize it’s not graduation season, but my advice to seniors in both high school and college is: never get a job. Bart was right, working is for chumps. I’m a big fan of the gleeful nihilism of Rick and Morty, the relentless contrarianism of South Park, the sarcastic hopelessness of Futurama, and plenty of other two word praiseworthy comedies. But there has never been anything like The Simpsons, and this morning I’m going to cite “Lisa’s Pony” as an example of why. The first thing to note is the near mathematical precision of the writing. A line like “The young man you replaced is rolling over in his grave” is eleven words long and contains (depending on how you want to count) something like four or five jokes. 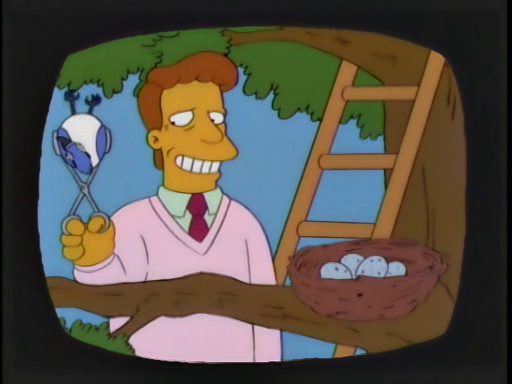 Not only was a young man (who certainly didn’t care about his job enough to roll in his grave about it) killed before he had a chance to really live, but Apu blithely replaced him with a father of three because he considers routinely fatal gunshots an occupational hazard. But this is Season 3, and lines that evilly good are too numerous to count. That’s among the most awful things a parent can say about their child. In its way, the apathy it implies is even worse than outright abuse. 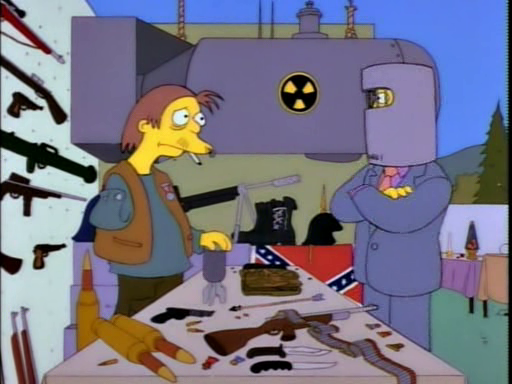 This is Homer seriously contemplating quitting on an eight-year-old. 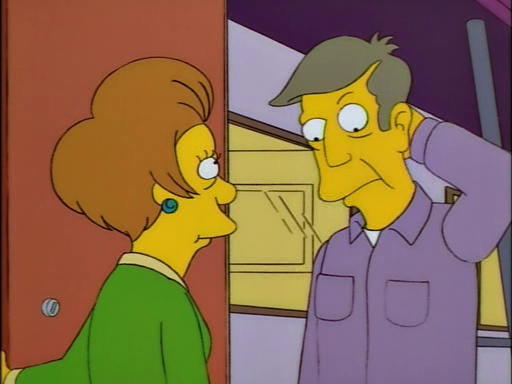 And it’s not like he’s clever enough to say this for pity from Marge. He means it. Plus, it’s set up perfectly by a very short montage that has happy music over an escalating series of his parenting catastrophes. As horrific as that is, it’s funny because we the audience never doubt Homer. We know he loves Lisa. He loves her deeper and more powerfully than he can even begin to understand; the only reason he’s thinking of quitting on her is because he can’t see any way she would ever love him again. 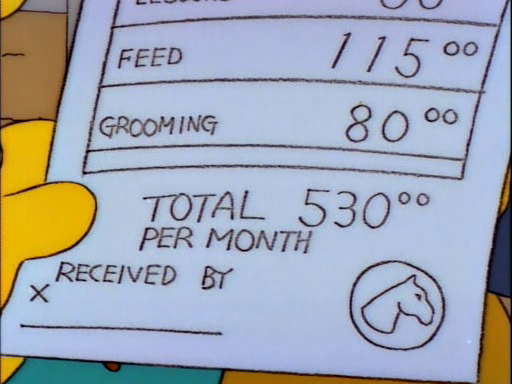 That’s what compels him to get the pony, to sign the usurious loan from Mr. Burns, to take the high profile yet demanding midnight-to-8am job at the Kwik-E-Mart. 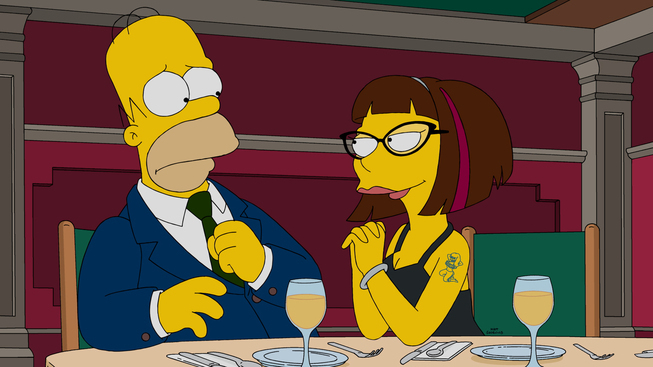 Every crazy and hilarious thing that happens comes from one central idea: Homer loves Lisa. It’s beautiful, compelling, and wonderful, and building the episode on it makes and justifies every joke, no matter how bleak, cynical or hopeless. Jebus, this show is good.